Author, Counselor, Life Coach, Change Management Consultant, Keynote Speaker, Corporate Trainer Ruthann Reim McCaffree, founder and owner of Career Management Institute since 1989, counseling and coaching since 1984, believes in maximizing one’s potential through effective change management. A skilled and sensitive counselor and life coach plus an inspirational trainer and keynote speaker, Ruthann consistently receives high ratings from her business and personal clients. Above all, she is a woman who leads with both her head and heart. Her expression is real, funny, honest and hopeful. She cares deeply and always reaches for the best in herself and others. Active as an Economic Development Commissioner in her city from 2003-2015, first woman president of the Tacoma Narrows Rotary Club, 1991-92, and co-chair of the successful 2011 University Place Library Capital Campaign. From corporate trainings for AT&T, and the Frank Russell Company to a featured speaker at the Cork, Ireland Federation of women’s International Leadership Conference, she believes in service and delivers an empowering message. Ruthann speaks what we need and want to know. 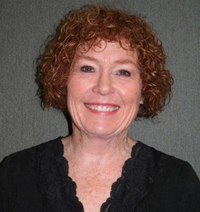 Ruthann Reim McCaffree, MA, NCC, LMHC, CPC: Ruthann is nationally certified as a counselor with a Master of Arts Degree in Counseling from Pacific Lutheran University, Washington State Licensed as a counselor and Certified as a Professional Coach. She has appeared on-air for KIRO, KOMO radio and KSTW-TV and has been quoted in Self and Redbook magazines and USA Today newspaper. Her company, Career Management Institute is a Washington State resource in Richard Bolle’s nationally recognized book, “What Color is Your Parachute?” She has been honored for excellence in the National Distinguished Service Registry, Who’s Who in the West and Cambridge Who’s Who and was selected as one of 1995 “Women of Distinction” by the Pacific Peaks Girl Scouts of America. She is also a Board Certified Professional Counselor for the American Psychotherapy Association (APA). 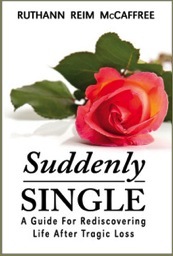 Her book, “Suddenly Single: A Guide to Rediscovering Life After Tragic Loss”, candid, heartfelt and helpful, shows how even a journey that starts with heartbreak can lead to a happier place. Contact Ruthann for your autographed copy.